While serving as the Deputy Chief Information Officer (DCIO) for Cybersecurity and the Department’s Senior Information Security Officer (SISO), Ms. Miller was appointed by the Deputy Secretary of Defense as the Acting Defense Chief Information Officer (December 8, 2017 – May 6, 2018). 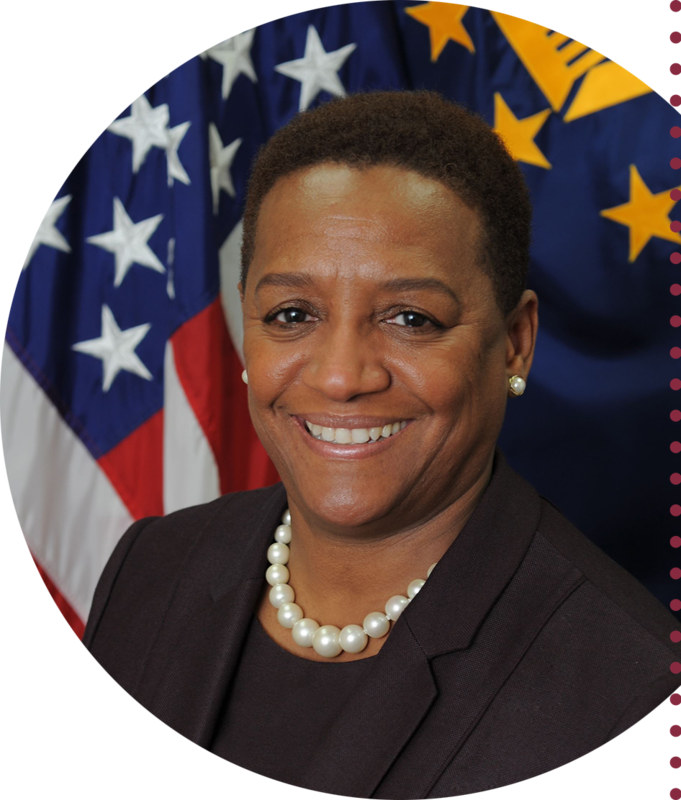 As the DCIO for Cybersecurity, Ms. Miller was responsible for ensuring that the DoD CIO has a well-defined and executed cybersecurity program, and coordinating cybersecurity standards, policies, and procedures with other federal agencies, coalition partners, and industry. Prior to joining the DoD CIO, Ms. Miller was the Director of Cybersecurity for the Army CIO/G-6. She was also the Army's Senior Information Assurance Officer, and therefore was responsible for the development, implementation, execution, and oversight of the Army's Cybersecurity Program. From November 2010 until August 2014, Ms. Miller served as the Director of Information Management and the CIO for Headquarters Air Force, Office of the Administrative Assistant to the Secretary of the Air Force in Washington, D.C.
Ms. Miller began her career as an Information Technology Specialist at Gunter Air Force Base. She went on to serve in various leadership positions throughout the Air Force, including with the following units or offices: Air Force Communication and Information Center; Air Force Office of Warfighting Integration and Chief Information Office at the Pentagon; Air Combat Command at Langley Air Force Base; the 75th Communications and Information Directorate; and Deputy CIO at Hill Air Force Base in Ogden, UT. Ms. Miller earned her B.A. from Talladega College, an MBA from Troy State University and a Master of Strategic Studies from Air University in Montgomery, AL. Ms. Miller is a 2016 graduate of the Harvard Kennedy School of Government in National and International Security Studies. Additionally, Ms. Miller is Acquisition Level III certified in Information Technology. She is a member of Armed Force Communications and Electronics Association.